Do you love a good steak or prime rib now and then? 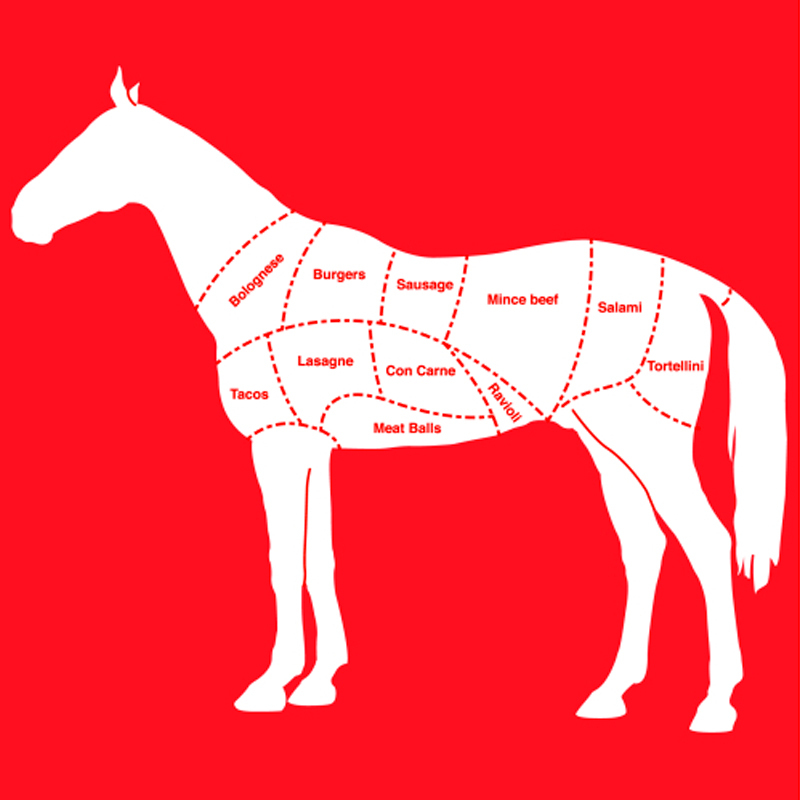 What about a Horse Meat Steak? 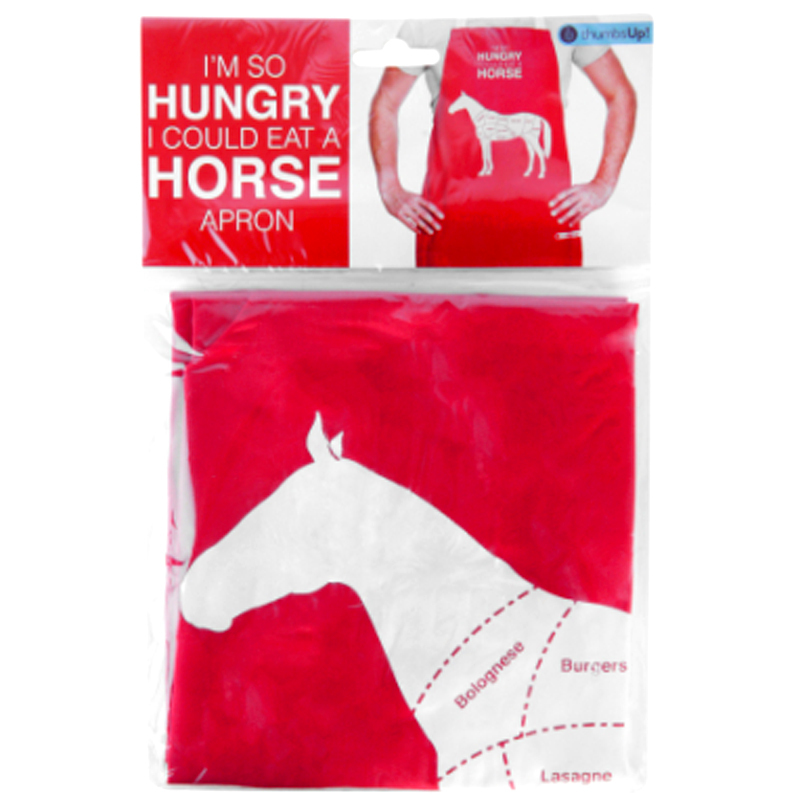 Well, you've surely said "I'm so Hungry I Could Eat a Horse" at one point in your life. 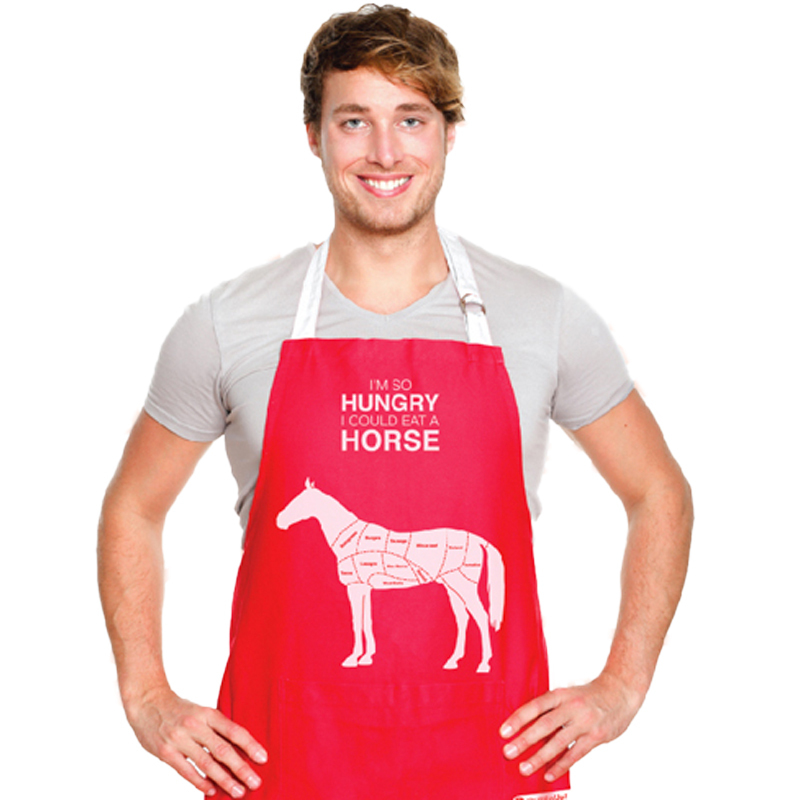 Give the thought another thought and reflect on this Horse Meat chart on an Apron. It's all in the way you cook it, right? Feature: - Fits most adults. 65% Polyester and 35% Cotton. Machine Washable. Feature: - 31" length x 24" width with adjustable 32" straps for your waist and a 24" neck strap.